That is amazing Khammany :-) I just LOVE what you have done. I love the whole idea of repurposing & think this is a fantastic idea for storing your fabrics but still kind of having them on display. I especially love the cat keeping the fabric warm for you !!!!! Really a good job! Inspiring! And... your kitty is so funny. What a great idea! I love the way you've repurposed the crates for an excellent way to organize your fabrics. Pretty and practical! Lovely job, Khammany! Hello Khammany! I love your new fabric storage. 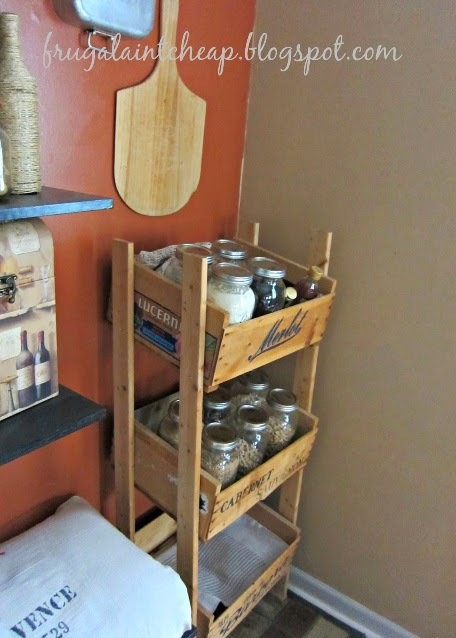 You did a great job constructing it and using the wine crates adds sophistication to your room. I hope you had a happy Easter! wow you clever lady !! I love it !